Is There Financial Help for Cancer Patients? 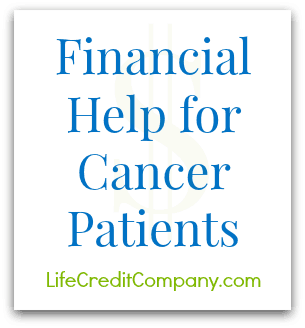 Fortunately, there are many ways to get financial help for cancer patients. In addition to borrowing from your life insurance policy, here are some ideas that you may want to explore further. The first thing to think about is income assistance. Low-income families can get Supplemental Security Income (SSI). There’s also the Temporary Assistance for Needy Families or TANF program. A second category is travel expenses. The help is so finely attuned that it has been split into driving/ground transport and air travel. For ground, check out the American Cancer Society’s Road to Recovery program. There may even be help with parking lot fees. For air travel, contact the National Patient Travel Center. From air travel costs to emergency air ambulances, this group has helped over 100,000 patients since 1972. The TANF program, mentioned earlier, is even helpful for covering the cost of phone costs – and not just landlines. In a world of mobile phones, they have upgraded to help needy families with those expensive mobile bills. Another category of help not to be overlooked is “miscellaneous.” That may sound trivial, but the American Cancer Society encourages you to call them about local programs in your area. What’s the message here? If you need financial help, there’s a big safety net out there waiting to be used. This can help relieve financial pressure so you can focus on what matters most. Finally, there is help with food. A lot of help. Meals on Wheels is dedicated to helping. There’s the government run SNAP program. And now there is a hotline at Whyhunger.org. When you ask, how can I help my friend or relative with cancer, it pays to look for available resources. Often times, there are people at the cancer center and nearby cancer organizations that can guide you to additional sources of financial assistance. Financial help for cancer patients can relieve a huge portion of the burden. If you have questions about financial assistance in the form of a living benefit loan, please contact us. Is Life Credit available to NY State patients? Yes, our program is available in NY.